On an ocean liner approaching New York, a man tries unsuccessfully to steal a small package hidden in a woman's stateroom. The woman, fearing that there will be another attempt to steal the package, hides the package in the baggage of Charlie Chan and his son Lee who are staying in the stateroom next to hers. In New York, newspaper reporter Speed Patten slips into a cab with the woman, whom he knows as Billie Bronson, who, one year ago, had disappeared from New York. She promises to meet him at her hotel at midnight if he will keep quiet about her return to New York. As Speed reports the potential story to his editor, Murdock, the latter receives a phone call from Bronson who demands twice the amount that the editor had been willing to pay a year ago for important information that she had. He agrees to meet with her that night at 10:30. Billie bribes a bellhop for a key to Chan's room. As she it attempting to enter, she is spotted by Lee. Claiming that she had mistaken Charlie and Lee Chan's room for her own, a suspicious Lee later follows her to the Hottentot Club, owned by racketeer Johnny Burke. At the club, mobster Buzz Moran warns Billie to get out of town before morning, after which she goes to Burke's office. Meanwhile, Speed, who has come to the club with photographer Joan Wendall, follows Burke to meet Billie. Billie accuses Burke, her former lover, of giving her the runaround because of his involvement with Marie Collins, a dancer at the Hottentot Club, and pulls a gun on him as Marie opens the door. Later, during a police banquet that is being given in honor of Charlie Chan, Inspector Nelson gets word that Billie Bronson has been murdered at the Hottentot Club and that Lee Chan is being held as a suspect. Excusing himself, Chan hurries to the club with Inspector Nelson. After arriving at the club and assessing the situation, Nelson orders Lee's release and questions Speed, Burke, Marie, and Joan. In Burke's office, where the murder occurred, Chan notices that a napkin has been placed over a tray is not present in a photograph that Joan Wendall had taken moments after the murder. Suddenly, Louie, Burke's "associate," turns out the lights. During the ensuing scuffle and resulting confusion, Burke escapes. When the lights are turned back on, Chan notes that a key that was plainly visible in Wendall's photograph is missing. Using a magnifying glass to examine the photographic image more closely, Chan discovers that the missing key belongs to his hotel room. Quickly, Chan, Lee, and Nelson go to Chan's hotel room, where they have trouble opening the door, which is blocked by the body of a murdered man. The dead man is the same person who had tried to steal the package from Billie Bronson on the boat. Marie Collins then enters the room and is shocked to see the body of her estranged husband Thomas Mitchell. On the floor, Chan finds a crumpled page from a diary, which, he realizes, Mitchell was after. Suddenly Lee remembers something. He tells Chan that Bronson had earlier told him that her room was directly above theirs on the next floor. Upon hearing this, Chan and Nelson hurry upstairs to Billie's room where they find Murdock. 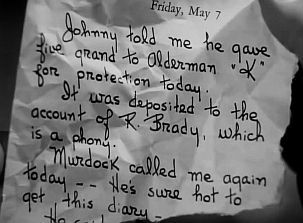 Murdock explains that he was there to buy Bronson's diary which, he says, contains incriminating information regarding individuals involved in corruption and racketeering in New York City. 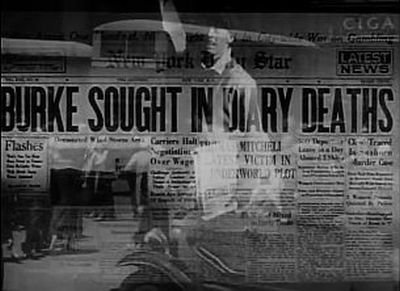 The next day, with the city's newspapers ablaze with the news of the murders the night before, Burke is confronted by Buzz Moran. Burke knocks Moran to the floor. As Burke runs from the room, Moran fires a shot at him, but misses. Deciding to turn himself in, Burke, accompanied by his lawyer, Meeker, goes to police headquarters. There, he is given a paraffin test whether there are any traces of gunpowder on his hands. The test proves to be negative, and Burke is released. Chan reminds Nelson that the missing napkin may have been used to cover the gun, warning Burke that he is still under investigation. Burke, returning to his office and finding Lee there trying to reconstruct the murder with Ling Tse, an employee of the Hottentot Club, punches Lee, giving him a black eye. Lee hits him back, before being thrown out of the club. 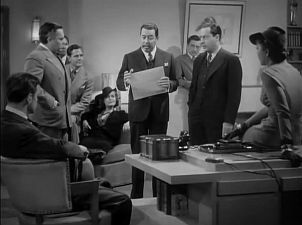 Fearing that Charlie Chan has sent his son Lee to snoop around his office, Burke decides to leave town, but is caught at the airport along with Marie. He is taken back to his office where Murdock and Moran are also brought. Chan, Lee, Speed, Joan, and Nelson also arrive at Burke's office above the Hottentot Club, where Chan reveals that Mitchell was trying to get Billie Bronson's diary and use information contained within its pages to ruin Burke who had stolen his wife. Telling Murdock that the police have been monitoring his mail and that they know he has received a special delivery letter, Nelson forces the editor to hand it over. 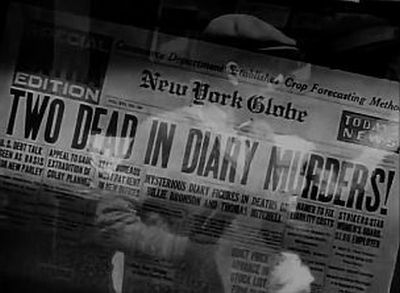 When the envelope is opened, a page of the missing diary is found inside stating that Speed Patten had used his newspaper job as a cover for blackmailing. Outraged, Speed states that the page is an obvious phony. At this point, Chan accuses him of murder, explaining that only the person who had the actual diary - the murderer - could tell that the page in the envelope was a forgery. 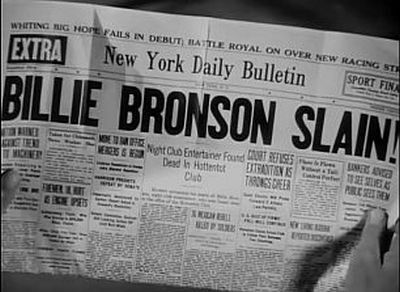 Chan then relates that he had first suspected Patten when his newspaper account of the Bronson murder had noted that Billie was shot in the back, a fact that had only been known by the police and the murderer. The detective then reveals that he and Inspector Nelson had sent the phony diary page to Murdock in order to draw Speed out. Speed Patten pulls out a gun and confesses that he killed Billie Bronson because she was going to go to the district attorney with the diary, which implicated him. He then found Mitchell with the diary and killed him. As Patten is about to shoot Chan, Lee jumps him, and in the struggle, Speed is disarmed and captured. Later, while Chan, Lee, and Inspector Nelson are riding in a car together through the streets of New York, Nelson invites the father and son to be his guests and see the city. As an enthusiastic Lee takes off his sunglasses, revealing that he now has two black eyes, Charlie Chan says, "Evidently, Broadway very hard on eyes." NOTE: Thomas Beck is listed as a cast member in early Hollywood Reporter cast charts, but his participation in the final film is doubtful. Keep eyes open and mouth shut. Etiquette ignored when lady in distress. Police in New York and Honolulu have one thing in common - both live on very small island. Position of body sometime give solution of murder. Camera remember many things human eye forget. No poison more deadly than ink. Murder case like revolving door - when one side close, other side open. Triangle very ancient motive for murder. To know forgery, one must have original. (Lee: "Gee, Pop, you sure missed a great luncheon!") Contradiction, please. Not having eaten, have missed nothing. (Lee: "I had turtle soup, Chicken a la King, and three cream puffs. Then I had some ice cream...") Mention of food more painful than surgeon's knife without anesthetic. (Lee: "Shall I get you some medicine, Pop?") Good dose of land is only effective medicine. (Lee: "The bulletin board says we'll dock at four o'clock this afternoon.') Only sight of dock can renew interest in life. (Inspector Nelson: "Well, thanks to you, Charlie, there's the baby that's going to sweep Broadway cleaner than it's been since the Indians sold it!") Most happy to have placed new broom into hands of Father Knickerbocker. As Mr. Chan would say, "One picture worth ten thousand words." Pop says, "One woman's intuition better than ten scientists." "Police in New York and Honolulu have one thing in common - both live on very small island. But, while we have big volcano, you have biggest 'shake-up.' Someday hope to greet honorable brothers in Hawaii, where roar of surf replace noise of subway, and hot rhythm of Broadway cooled by strains of 'Aloha.'" Newest entry into the Charlie Chan Chinese sleuth series fits alongside of the better ones. It holds more than usual for the metropolitan audiences because of having a New York locale and concerned with graft in the big town. Film provides an opportunity for the Oriental Sherlock to perform his deductions while a guest of the N.Y. police force. Good for locations where others in this series played. Running through the clever detective manipulations of Charlie Chan are bright situations, subtle and roughshod comedy, and pointed action. Chan uncovers the least suspected scandal column writer as the killer of two people mixed up in the big city's mob. Writers have permitted several in the cast to be placed under the cloud of suspicion without closing all doors to the entrance of other suspects. Producers have wisely kept Chan's son in the series, making him a foil for his father's shrewd nifties. But at the end, it is the aspiring offspring who is equal to the emergency and thwarts a third murder. Some of the plausible deductions, such as tracing the killer suspect through his antedated knowledge shown in his gossip column, lend more credulity than usual to this typical yarn. A field day for candid camera bugs in a night club also has been made use of to forward the plot. Art Arthur, Robert Ellis and Helen Logan have combined forces on the original story with Charles Belden and Jerry Cady doing a bang-up job in transferring it to the screen. The swiftly paced dialog in the modern manner is also a credit to the latter pair. Chan is again faithfully personified by Warner Oland, with just as much interest as ever being shown to his clever portrayal. Keye Luke again is the effervescent son, with the lad even better than before if only because he does more things in his usual enthusiastic style. 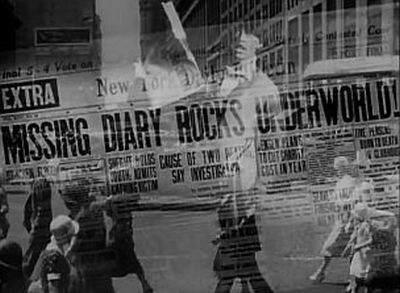 Joan Marsh makes a pert candid-camera, freelancer among the dailies, though the slight love interest she shows for the columnist is blotted out at the close. Harold Huber's conception of a police inspector is crisp and characteristic if a little too brusque, Donald Woods as the scandal scribbler is energetic if nothing else. Too blatant for true-to-life portrayal, and he often mixes a stilted English accent with his slang. 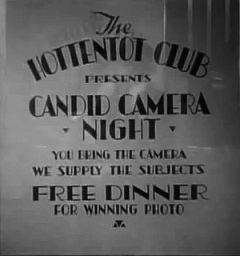 A long list of supporting characters is topped by J. Edward Bromberg, as the tabloid managing editor; Leon Ames, as the gangster chief; Louise Henry, as a mob moll who is bumped off early; Joan Woodbury, as a nightclub dancer, and Douglas Fowley, as night club operator and gangster assistant. The Woodbury girl shows possibilities because having a combo of looks and acting ability. Production values are plenty in evidence, with even the nitery entertainment having some semblance of naturalness. Eugene Ford has directed with intelligence, and never lets up on the early fast tempo. FOODS EATEN BY LEE CHAN AT LUNCHEON AS NOTED TO HIS SEASICK POP: "I had turtle soup, Chicken a la King, and three cream puffs. Then I had some ice cream..."
SCHEDULED DOCKING TIME FOR THE SHIP, ACCORDING TO LEE: "...four o'clock this afternoon." ASPIRIN SEEN ON THE TABLE IN BILLIE BRONSON'S STATEROOM: "Bayer Tablets Aspirin"
SEVERAL HOTEL TOWELS "COLLECTED" BY LEE THROUGHOUT EUROPE, AS NOTED BY CHARLIE CHAN: "Hotel Sheffield, Château Paris, Rhine Inn..."
THE NEXT INTENDED DESTINATION, AFTER NEW YORK, OF CHARLIE CHAN AND SON LEE ON THEIR WAY BACK HOME TO HONOLULU, ACCORDING TO LEE: "We leave for San Francisco in the morning." THE NAME OF THE SONG SUGGESTED BY SMITTY: "Chinatown, My Chinatown"
THE POSTED RULE AT THE DOCKS BLATANTLY IGNORED BY INSPECTOR NELSON: "No Smoking"
First Reporter: "Is it true that you intend racing Indian King in Saratoga?" First Reporter: "How do your horses always win the races?" Second Reporter: "How many wives have you?" Maharaja: "More than Ali Baba had thieves." Second Reporter: "Do you think you're going to like New York?" Maharaja: "If it's one-half as ridiculous as I've heard, I should." Second Reporter: "How long do you expect to remain in the United States?" Maharaja: "Well, I don't know." First Reporter: "Did you bring all of your stable with you?" ACCORDING TO INSPECTOR NELSON, WHEN BILLIE BRONSON LEFT NEW YORK FOR EUROPE: "A year ago..."
ACCORDING TO SPEED PATTON, THE NAME OF THE INDIAN MAHARAJA WHO WAS INTERVIEWED AT THE DOCK: "...the Maharaja of Radfa..."
THE FEE DEMANDED OF MURDOCK BY JOAN WENDELL FOR HER EXCLUSIVE PHOTOGRAPH OF BILLIE BRONSON: "A hundred bucks." THE OFFER MADE BY MURDOCK FOR THIS PHOTO: "I'll give you fifty dollars." THE RIVAL NEWSPAPER NEWSPAPER THAT JOAN WENDELL SUGGESTED WOULD BE INTERESTED IN HER PICTURE: "...the Times." ACCORDING TO BILLIE BRONSON, THE LAST TIME SHE AND MURDOCK HAD DISCUSSED A "LITTLE DEAL": "...about a year ago..."
BILLIE BRONSON'S DEMAND REGARDING THE COST NOW FOR THE 'BULLETIN' TO PURCHASE HER DIARY: "...it's going to cost you twice what you offered last time." THE TIME, ACCORDING TO MURDOCK, OF BILLIE BRONSON'S SCHEDULED MEETING WITH HIM AT HER HOTEL: "...11:30 tonight." THE AMOUNT OF MONEY THAT LEE HAD ON HIM TO "SEE THE TOWN": "...one buck..."
THE ITEMS SOLD BY PHOTO GIRL LING TZE AT THE HOTTENTOT CLUB, AS STATED BY HER: "Flashlights, bulbs, film." THE HOTTENTOT CLUB'S "RULES OF THE HOUSE" AS EXPLAINED TO LEE BY THE DOORMAN: "...no gentlemen allowed in without a lady friend." ACCORDING TO THE CORONER, THE CAUSE OF BILLIE BRONSON'S DEATH: "The bullet entered the back just below the left shoulder blade, passed through the right ventricle, and was probably stopped by a bone." THE APPROXIMATE LENGTH OF TIME, ACCORDING TO THE CORONER, SINCE BILLIE BRONSON HAD BEEN KILLED: "About half an hour ago." ACCORDING TO THE NEW YORK POLICE OFFICER, THE TYPE OF GUN THAT HAD BEEN USED TO KILL BILLIE BRONSON: "...a .25 caliber automatic..."
THE ITEMS THAT WERE MOVED IN JOHNNY BURKE'S OFFICE, ACCORDING TO JOAN WENDALL'S PHOTOGRAPH: The telephone receiver was placed back on the phone, a handkerchief was missing, a key was missing from the contents that were spilled from Billie Bronson's purse on the floor. 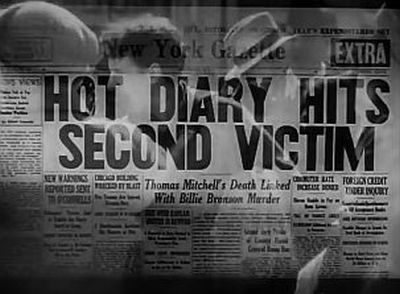 ACCORDING TO INSPECTOR NELSON, THE CONDITION OF THOMAS MITCHELL'S BODY, WHICH WAS FOUND IN CHARLIE CHAN'S ROOM: "Stabbed through the ribs, and not over a couple of minutes ago, either." ACCORDING TO INSPECTOR NELSON, THE LENGTH OF TIME SINCE BILLIE BRONSON WAS KILLED: "...an hour ago..."
THE TIME, ACCORDING TO MURDOCK: "It's now...twenty minutes of eleven." FROM THE ABOVE INFORMATION, THE APPROXIMATE TIME OF BILLIE BRONSON'S MURDER: 9:40 p.m.
MURDOCK'S STATED (CHANGED) APPOINTMENT TIME WITH BILLIE BRONSON: 10:30 p.m. THE PERSON WHO TELEPHONES JOHHNY BURKE: Meeker, his lawyer. planted it to obtain free publicity for a terrific blackmailing scheme. that he has this dynamite diary and that he is ready to light the fuse. ACCORDING TO CHARLIE CHAN, THE LENGTH OF TIME THAT GUNPOWDER STAINS REMAIN ON A SHOOTER'S HAND: "...72 hours." THE CHEMICALS MENTIONED BY THE NEW YORK POLICE CHEMIST WHICH REACT TO THE PRESENCE OF GUNPOWDER: "A solution of diphenylamine and sulfuric acid which reacts instantly to nitrates." INSPECTOR NELSON'S COMMENT TO JOHNNY BURKE REGARDING THE ABOVE TEST: "...if they turn blue, your goose is cooked." that Johnny told me about. Charlie Chan: "...where roar of surf replace noise of subway, and hot rhythm of Broadway cooled by strains of 'Aloha.'" Reporter: "Yeah, what's the new angle?" Inspector Nelson: "The bigwigs expect you to tear a duck apart with them tonight." Johnny Burke: "They'll never burn me for that." Inspector Nelson:"Those ain't reporters, they're worse - camera hounds." Murdock: "It'll make it hotter than the Chicago fire." Reporter: "Did you give Burke a clean bill?" Speed Patten: "Yeah, but you crossed me up." Speed Patten: "...but does the D.A. know it?" Inspector Nelson: "...a year ago, that little dame was so hot she had to skip the country." Police Chemist: "A solution of diphenylamine and sulfuric acid which reacts instantly to nitrates." do the town - (Slang) To experience a city's nightlife. Billie Bronson: "Well, you look like you're all dressed up to do the town tonight." Inspector Nelson: "Well that's just ducky!" Charlie Chan: "Most happy to have placed new broom in hands of Father Knickerbocker." Speed Patten: "It puts the finger right on Burke." Johnny Burke: "...he's just fishin'." Inspector Nelson: "I knew there was something fresh around here, I thought it was the ocean air." Billie Bronson: "I want to see Grant's Tomb." Johnny Burke: "We'll lay low 'til the heat's off." Joan Wendell: "...it's a honey." hot - (Slang) Wanted by the police. Billie Bronson: "I'm not hot anymore, and you know it!" Billie Bronson: "The Hottentot Club." Joan Wendell: "We'll blow some of this hush money..."
Johnny Burke: "Yeah, yeah, I'm in a jam." Buzz Moran: "Everybody but the cops knows he pulled the job." Joan Wendell: "Hey, what's the idea? I can't get out of this joint?" kowtow - (From Chinese) (1) To kneel and touch the forehead to the ground in expression of deep respect, worship, or submission, as formerly done in China. (2) To show servile deference. Billie Bronson's supposed diary text, as read by Inspector Nelson: "It was sure funny to see everybody kowtow to Johnny and Buzz." Speed Patten: "I'm going to see her tonight and get the lowdown." Speed Patton: "I got a swell human interest yarn on the Maharaja of Radfa today." Inspector Nelson: "Holy mackeral! Look! Another mouse!" Speed Patten: "Looks like Burke pulled a nifty on you." Inspector Nelson: "And that's all I need to put that guy on ice." Inspector Nelson: "...a couple of minutes after Burke took it on the lam..."
Murdock: "How do I know it's on the level?" Marie Collins: "They had Johnny on the spot..."
Charlie Chan: "Perhaps paraffin test better alibi, if negative." Speed Patten: "You mean it's the payoff?" Detective: "This is a pinch." Meeker: "I want to know the time Mitchell was rubbed out." Speed Patton: "Nice scoop, kid." Inspector Nelson: "Get out of here, Burke, and take that shyster with you!" Joan Wendell: "No, just slumming."